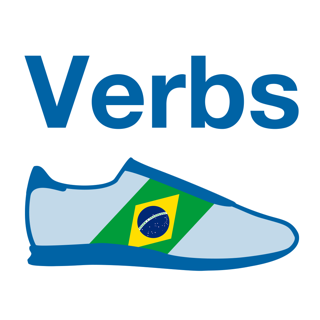 VerbForms Português Little: reference, conjugation and vocabulary trainer for Portuguese verbs. • Provides translations in English, French, Spanish and German for all verbs. • Search for infinitives or translations to find verbs. • No Internet access required. • Marks irregularities and orthographic features with colors. • Provides frequency information for each verb. • Voice output: touch the verb forms to hear them. • Configurable multiple choice, flashcard and written exercises for conjugation and vocabulary. • Create lists of verbs you want to learn in an easy and comfortable way. • Your lists are kept in sync on your iOS devices using iCloud (optional, requires Internet access). • Automatic error tracking by error lists. …and much, much more. VerbForms Português Little, the easiest way to learn Portuguese! • Fixes a small design issue. As someone whose been wrestling with learning the many complicated forms of verb conjugation in Portuguese this app couldn't have come at a sooner time. It's by far the easiest and most effective one in the App Store to help you get a handle on mastering the many nuances of the modes and tenses of Portuguese verbs - especially the irregular ones! Up until now there were only two others that were worth trying to use. 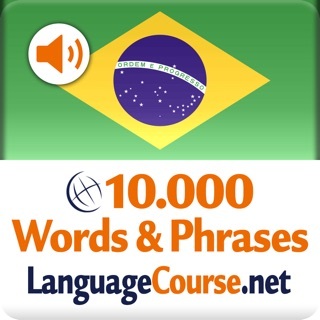 One is "Verb Trainer" by Pangaea Learning (also maker of Tudo Bem Portuguese - which is equally ineffective) and the other is "Portuguese Verb Conjugation" by Thinkov. Both are lacking in User Interface design, Interaction design, and the amount of verbs in the dictionaries. Verb Forms literally has just about every verb in Portuguese you can imagine. This actually seems overwhelming at first but you quickly come to appreciate it as you quickly start mastering the basics and need to acquire more in your arsenal. Not only that but it has all of the respective reflexive forms of verbs which helps in understanding the grammar a littel more from the different shading the meaning of a sentence has when this form is used. The User Interface design in this app is intuitive. First off everything is really easy to read. Whoever designed it has a good understanding of graphic design and you can tell that this was well thought out and central to the overall experience. Secondly, it's set up in such a way so that you can quickly and easily flip through each tense within the different modes. It takes full and proper advantage of the iPhone's swipe feature by allowing you to just swipe over from tense-to-tense within the mode you're in. If you want to switch to a different mode the nav for this is right there at the bottom of the screen. I can't tell you how great this is in helping to quickly get a handle on some irregular verbs with the real whacking conjugation forms (ie: vir, ver, dar...). It basically let's you quickly glance each side of an entire verb. Moreover, another really cool and super useful feature that's related to this is that when you're practicing with any one of the quizzes, when you get zapped with the vibration of a wrong answer you can hit the information button in the upper right corner where it'll take you into this view and you can quickly see why you got it wrong and then compare to the other tenses if you want which helps with reinforcing what you just learned. The quizzes are really well done also. Easy to use and effective. But probably the best feature are the options you have when setting up a quiz in the beginning. For conjugation you can choose what you practice with either Form or Tense and Mode. Then what's really nice is that you can also choose only the tenses you want to focus on (ie: present, perfect past, simple future...). Again, this is really helpful with the all of the nutty forms that pop up on you in the irregular verbs. The last thing to mention that's a really cool feature is the ability to build as many different of your own custom list of verbs as you like. This is great for as it makes studying different groups much easier. The 'Error List' that gets automatically generated from your quiz results is also helpful as you go back and reinforce the ones you got wrong. The only negative thing I have to say is that it should have the meaning of each verb on all screens in each of the quizes. I'm not really sure why they don't have that as there's certainly plenty of real estate to include it. O app é muito bom! Estou aprendendo o português e o app é útil.